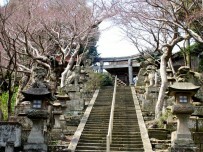 Senju-in Temple is famous for its 200 year drooping cherry blossm tree. 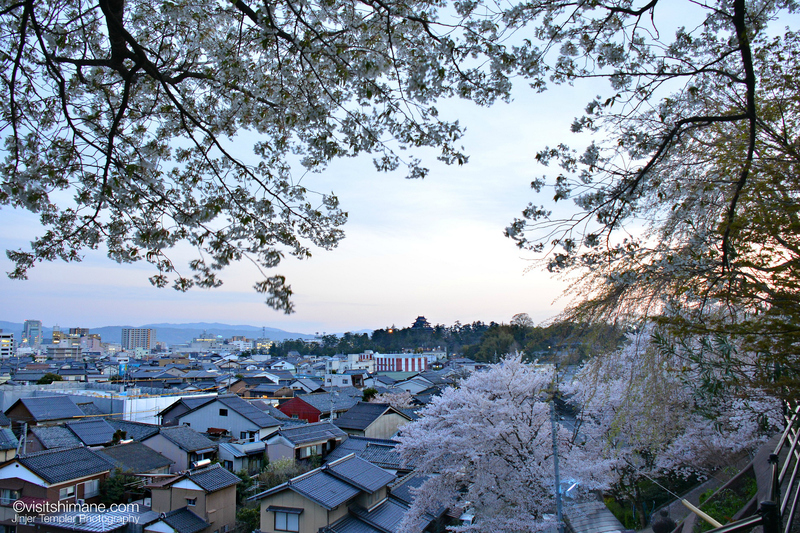 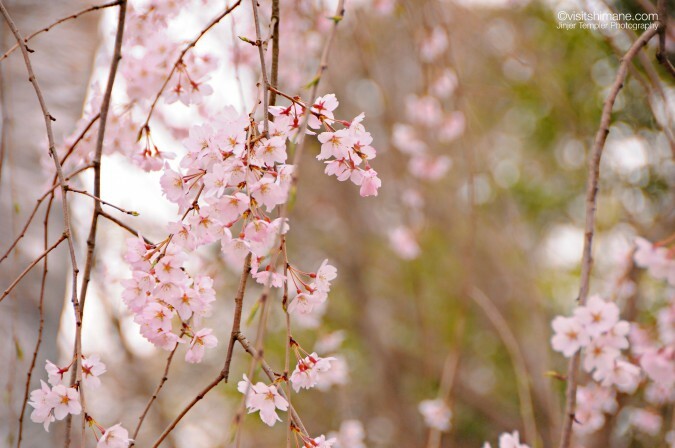 The blossoms bloom fully for around three days and attract many visitors throughout the day and also into the night. The best time to visit is from the end of March to early April. 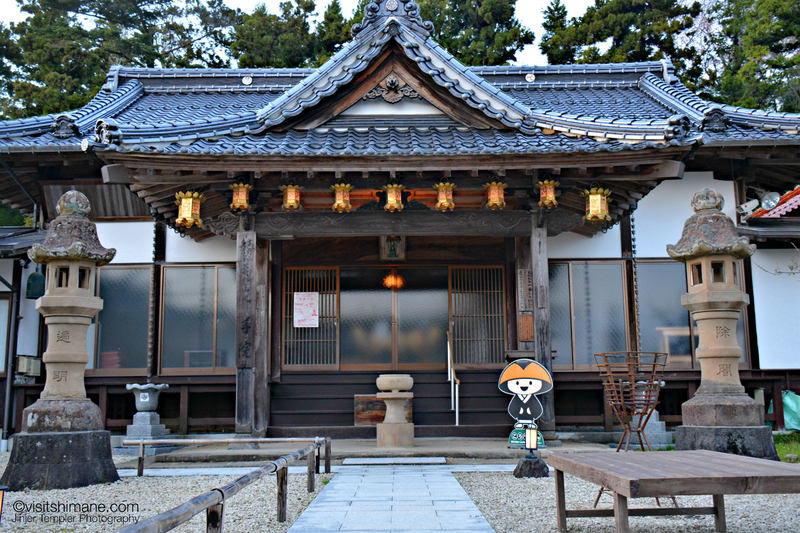 The temple itself was originally located in Yasugi, however it was transferred to its present location in the auspicious north-east direction of Matsue Castle to protect the castle and its occupants from evil spirits. 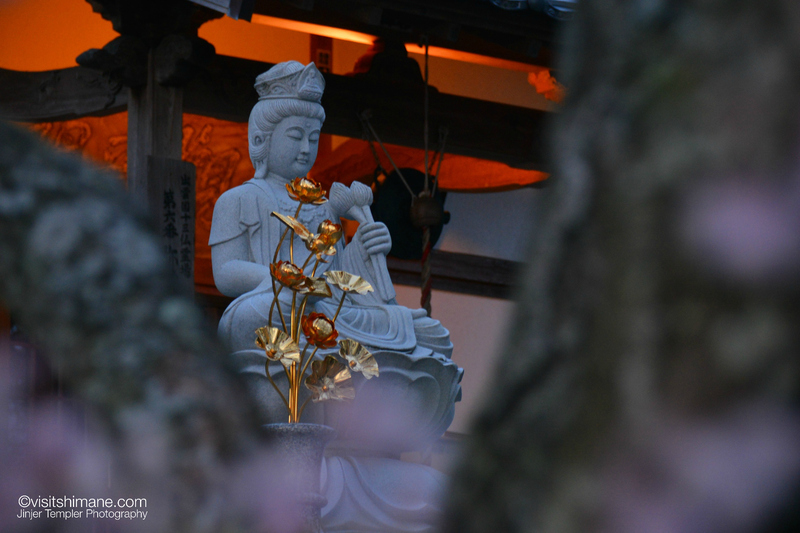 The hill just behind the grounds has many Buddhist statues quietly standing watch over the temple. It is rarely visited and makes for a pleasant stroll away from the cherry blossom viewing crowds. 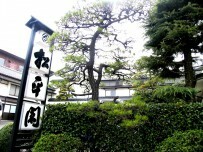 Getting There: Take the Lakeline Bus from Matsue Station and get off at Shiomi Nawate. 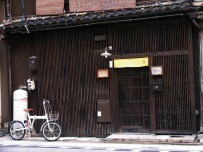 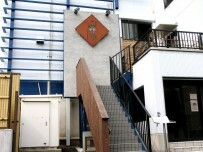 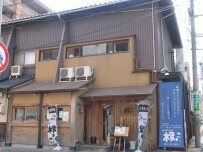 It is then a 10 minute walk through Kitahori-cho.